"In a perilous race across the world, having the best Pandora can be the difference between life and death. Sixteen-year-old Tella Holloway isn’t happy. Her mother rushed them out of Boston and into a craptastic house nestled in Middle of Nowhere, Montana. To make matters worse, Tella’s brother is sick, and though a dozen doctors can’t determine the cause, her mother is sure Montana’s “fresh air” will help. Now Tella spends her days being homeschooled, and uses her imagination as entertainment. But when a small blue box appears on her bed, Tella’s world is rocked. Inside the strange package she finds a white ear bud—and after she fits it into place and touches its blinking button—an unknown voice fills her head. Tella is invited to join the Brimstone Bleed, a race across four ecosystems: desert, sea, mountains, jungle. The voice in Tella’s ear explains she has 48 hours to retrieve her Pandora, an animal genetically designed to help her win. Tella has never been the sporty type; she’s more a cheerleader than an athlete. But despite her mother’s warnings, she’s determined to compete in the race. And she’ll do anything to win, because if Tella is the Brimstone Bleed victor, she'll be granted a specific gift—the cure to save her brother’s life. 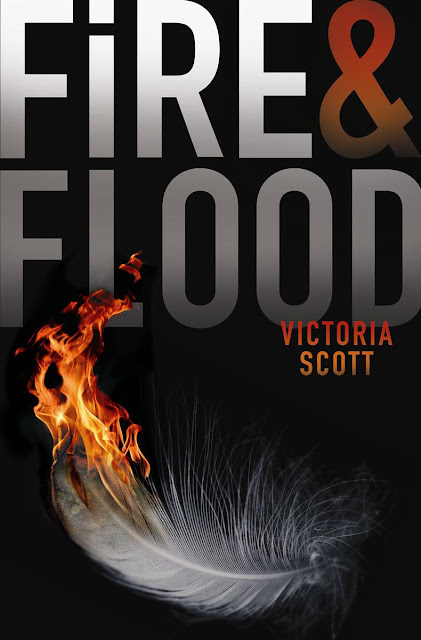 FIRE & FLOOD is a teen thriller set in modern day."